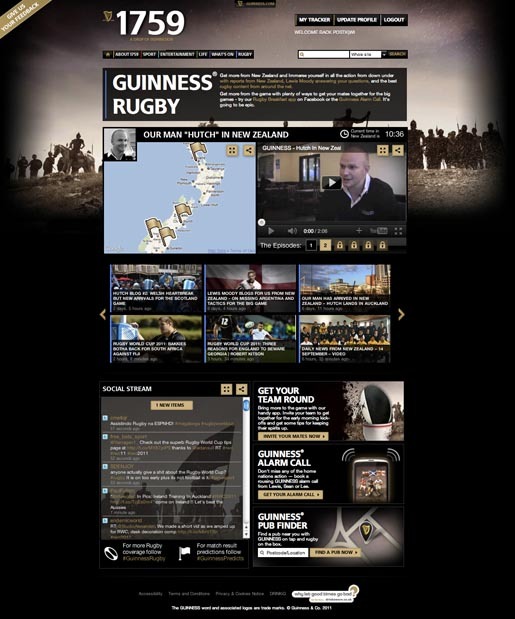 Guinness is marking the Rugby World Cup with an integrated advertising campaign centred around 1759.guinness.com, a content-driven site. 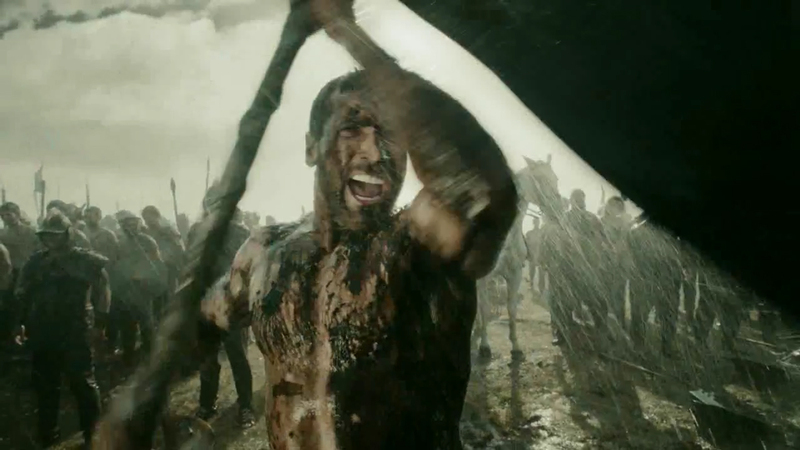 “The Flag”, a television commercial, launched to coincide with the beginning of the Rugby World Cup, features two warring factions (Black and Red) playing a battlefield-size game of “Capture the Flag”. Who will be made of more? “Flag” reflects the line-outs, scrums and tackles on the rugby pitch, with two armies recreating a battle scene with rugby inspired moves. Emulating the life and energy of the GUINNESS surge, the creative tells a story where one nation will rise, one will be made of more. In pouring rain two legions of warriors face-off against each other with the sole goal of planting their flag on the opposing side’s hill. The two armies race towards each other in a battle that can only have one winner. The 1759 site provides links to the Get Your Team Round Facebook app which allows users to invite their friends over so they can enjoy the match together. Guinness is giving away 10,000 subscriptions to The Times Online to fans of the Guinness Great Britain Facebook page. Fresh content on the 1759 page includes a video blog by Hutch, reporting from the ground in New Zealand, and a blog from England Rugby captain Lewis Moody. The Guinness Alarm Call mobile app wakes up fans with a direct alarm call from a famous Rugby player to remind them that a game is about to start. The text-to-win competition will run on limited edition eight, ten or 18-can rugby packs of Guinness Draft In a Can. To enter, consumers will need to text the code found inside their pack, along with the name of the team they are supporting, for the chance to win tickets for them and three friends to every RBS 6 Nations game of their chosen team during the 2012 competition. There will also be two runner up prizes of a pair of 2012 RBS 6 Nations tickets. The Guinness Rugby Flag campaign was developed at AMV BBDO, London, by executive creative director Paul Brazier, creatives Bruce Townsend and Paul Watts and producer Yvonne Chalkley, working with Paul Cornell, Guinness Marketing Manager, Diageo GB. Filming was shot by director Tom Hooper, via Infinity Productions, London, with director of photography Ben Smithard. Production involved a crew and cast of 370 people, two cranes, fifty 4WD vehicles and a helicopter. Editing was done at The Quarry. Visual effects were produced at The Mill, London. Music was composed by Squeak E Clean. Sound was designed and mixed at Factory. Digital elements of the campaign were managed by Tullo Marshall Warren (TMW), London.